Took my eldest to watch Cap the other day, I thought it was rather good. 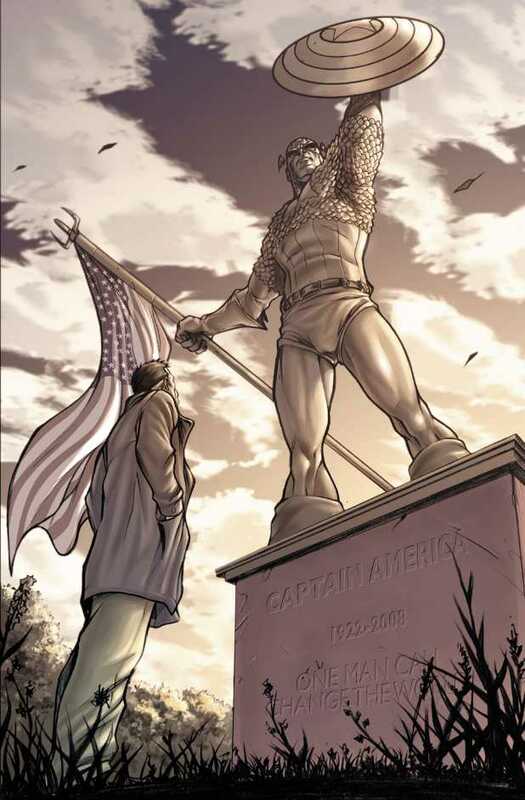 As is often the case, I feel that popular culture is often more revealing than high culture of the moods and currents currently flowing in our civilisation.Captain America represents old values, things that we have forgotten. ...if the tradition of the virtues was able to survive the horrors of the last dark ages, we are not entirely without grounds for hope. This time however the barbarians are not waiting beyond the frontiers; they have already been governing us for quite some time. And it is our lack of consciousness that constitutes part of our predicament. The problem is simple. Without eternal reward or punishment there is no reason to behave righteously other than for self preservation which, in itself, has no worth or meaning. The godless world is gradually realising this truth and those brave enough to face it are taking advantage of this freedom. It's not that we are not conscious of what is happening, most people are. But, in order to avoid upsetting atheists we are not allowed to put it forward as an explanation. As chairman of the committee of atheist censorship of religious folk (ACORF), I hereby give you a special waver to put forward your theory as an explanation. “We need more carrot and stick religion to keep the masses in order” should be good for our recruitment drive. If this were true, places without religion would be worse off than places that are more devout. Mexico would be safer than British Columbia or Vermont; Turkey and Sicily would be better places to live than Sweden or Estonia; Nigeria and Yemen would be paradise compared to the Netherlands or Norway. But they're not. So what's the point to religion? Why should I run twice as fast to get to the same place? Do you have such comic book heroes in the UK of GB and NI? Or is this something too over the top for your culture? Do you need to attend church to be a Christian?